A traditional North/South derby between old foes, the Blue Bulls and Western Province, will kick-start what promises to be a bumper women’s rugby season on Saturday, with a full day of action as the A Section of the SA Rugby Women’s Interprovincial competition starts. 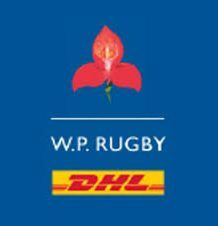 WP, the defending champions, will get their season started with a tough home challenge against the Blue Bulls at City Park in Cape Town, while 2017 runners up, Border, will host Eastern Province in an Eastern Cape derby at the BCM Stadium in East London. KwaZulu-Natal will take on Free State at Jonsson Kings Park in Durban. The B Section, which features eight teams this year following the withdrawal of the Valke, will kick off on Saturday, 18 August, while both competitions will conclude with their respective finals on Saturday, 29 September, at the home venue of the top team in the A Section. Apart from the motivation of winning their respective sections, there will be extra pressure on the teams to deliver a solid campaign this season, as the lowest ranked team in the A Section at the conclusion of the pool stages will be relegated to the B Section for the next two seasons, while the top B Section team will be promoted to the A Section. This is in line with the tournament’s promotion-relegation structure every two seasons. Western Province have beaten their Pretoria counterparts in their last two encounters, after going down 22-10 against them in 2015, but with both sides looking to start their season on a winning note, it should be a competitive clash. Border, on the other hand, have won their last four matches against Eastern Province by a minimum of 45 points dating back to 2014, but while they will be determined to build on this, the Port Elizabeth side will enter the match with the knowledge that only their best will do to create an upset. KwaZulu-Natal, meanwhile, will draw inspiration from their convincing victory against the Free State last season as they look to make the most of their home ground advantage on Saturday. But with both teams determined to bounce back from disappointing seasons last year, it could be a tight tussle.